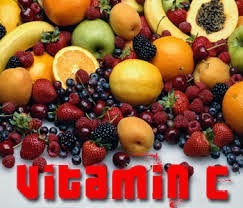 A double-blind clinical trial has demonstrated that 1000 mg of vitamin C per day1 can rapidly boost mood. This is a simple remedy and one that should not be taken lightly. Vitamin C is the often-overlooked granddaddy of antioxidants. Other recent research has shown it can help turn back the clock and facilitate healthy stem cell function. In the current study researchers had become aware that vitamin C and vitamin D were typically lacking in people entering the hospital for one acute need or another. They gave new entrants either 1000 mg of vitamin C, 2000 IU of vitamin D, or a placebo for 7-10 days. The vitamin C group had rapid mood improvement consistent with elevated blood levels of vitamin C.
The study speaks to the importance of vitamin C for adrenal health and stress tolerance. It also shows the importance of free radical problems and their link to mood issues. However, the entire premise of the study is based on the observation that most people coming into a hospital are vitamin C and D deficient. Common sense will tell you that if you take steps to be adequate in vitamin C and vitamin D then you are less likely to wind up in the hospital with an emergency acute need. I have seen similar research in the past regarding magnesium status. An extra 1000 mg of vitamin C per day in the winter months is always a good idea just to help keep your immune system in good working order.